SLR Infotech, located in sector 34-A, Chandigarh, is one of the top institutes which provides coaching for industrial training like JAVA, PHP, electronics and many more. 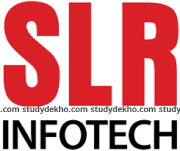 SLR Infotech is an integrated IT solution and service provider headquartered at Chandigarh, India. Their offerings span across Software Product Engineering, Application Development, Application Management, Mobile Application Development, Enterprise Business Solutions, Business Applications and Consulting. With an indomitable spirit to succeed, SLR Infotech made a modest start. with over a hundred people family, they have come a long way and the same inspiration to achieve continues to drive them from one success to another. 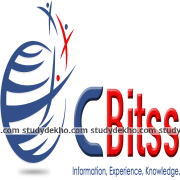 slr infotech is an excellent institute with a well trained and professional faculty. Sonia ma'am who is the head of the tally department is an exceptional teacher who has great experience in cultivating young and raw talent she has complete knowledge of the subject I would recommend her to any aspiring student. overall the the entire faculty and management is excellent and the facilities provided by the institute are better still. its 5 stars for this organization from my side. sonia ma,am is an extraordinary teacher who has a unique understanding of the requirement of the student and giving the best platform for learning and performing . She has exceptional knowledge of her subject and has knack for developing young and talented entrepreneurs. I would recommend this institute for any aspiring student and anyone who seeks complete knowledge of the subject. Very Bad Institute. Faculy is very bad. not having in depth knowledge. i dont suggest you to SLR. its True "Naam Bade and Darshan Chote"
A good institute , loved studying here.